If you are looking for a secluded sonic experience coupled with a fine sense of music, Soul is the one stop solution for you. Soul provides a music experience rich in definition and poised in balance, coupled with noise isolation that ensures sonic solitude. Well aware of market dynamics and the personal preferences of its customers, Soul brings out something for everyone. Headphones, earphones, speakers, accessories, you name it, you have it. Combining an edgy sense of style with solid engineering, gadgets from Soul breathe life into your music. 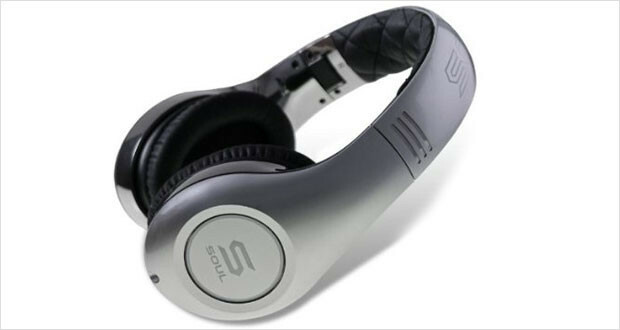 Aimed chiefly at the professional studio artists, the Soul SL300MS high definition noise-cancelling headphones also look out for the needs of the all classes of user; from the newly doctrinated music aficionado to the regular flight takers! An edgy design meant for all ages, the headphones come in more than ten colours to match personal preferences. A little bulkier than the Bose Quite Comforts, the Soul SL300MS ensure a larger earmuff for a more comfortable fit over the ears. With a generously padded adjustable headband that enhances the snugness-factor manifold, Soul knows where comfort lies. 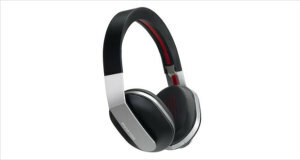 They come with advanced active noise cancellation technology that eliminates ambient sound to a maximum, thus making the Soul SL300MS one of the best noise cancelling headphones in the market today. Team the classy construction with user-friendly accessories, portable design and powerful neodymium magnets that deliver music with a punch, and you have one of the best over-the-year headphones the industry has to offer. 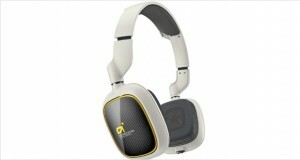 Elite Over Ear High Definition Powered Noise Cancelling Folding Headphones. 1/8” and ¼” jacks available. The Soul SL300MS high definition noise-cancelling headphones take the phrase “You gotta see it to believe it!” to a whole new level. Little bulkier than the average circum-aural, the headphones, however, come in a sleek folding design that makes them extremely suitable for convenient travelling and storage. Small details add a quirky touch; the cross stitch on the leather under the headband to metal stripes on the top of it! The battery compartment for the noise cancellation remains sneakily within the left earbud. Detachable, tangle-free audio cables ensure a hassle free use while the illuminated earcup badges ramp up the fun! Dimensions18.2 x 10.6 x 17.4"
The headphones combine class and craft in their construction. A stoic built, alongside tangle free wires and L-shaped connector offer a durable product. The headphones, though a bit larger in size than the average over the ear type, are supremely comfortable with well articulated earmuffs and a generously padded, adjustable headband. Treble is faint and tinny. The bass comes through; lows are clear and audible. 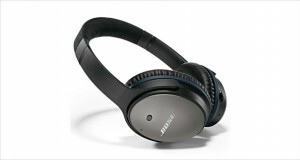 Active noise cancellation technology ensures that ambient noise is filtered out to the maximum. Even in passive mode, well-articulated earpads provide sufficient seclusion from incoming disturbances. The headphones score high with their sound cancellation. However, sound quality is unsatisfactory, especially since it aims to woo the professionals. Even though the Soul SL300MS high definition noise-cancelling headphones score high on innovative styling and comfortable build, the headphones fail to perform where it matters most; the sound quality is hardly satisfactory. The active noise cancellation stems most of incoming disturbances, but that alone cannot secure high marks for the otherwise classy Soul SL300MS. Overall, the SL300MS comes at too high a price and delivers to little.